A new report from the Institute for Policy Studies focusing on and profiling black women in advocacy leadership roles calls for an expansion of opportunities for black female organizers to lead campaigns. 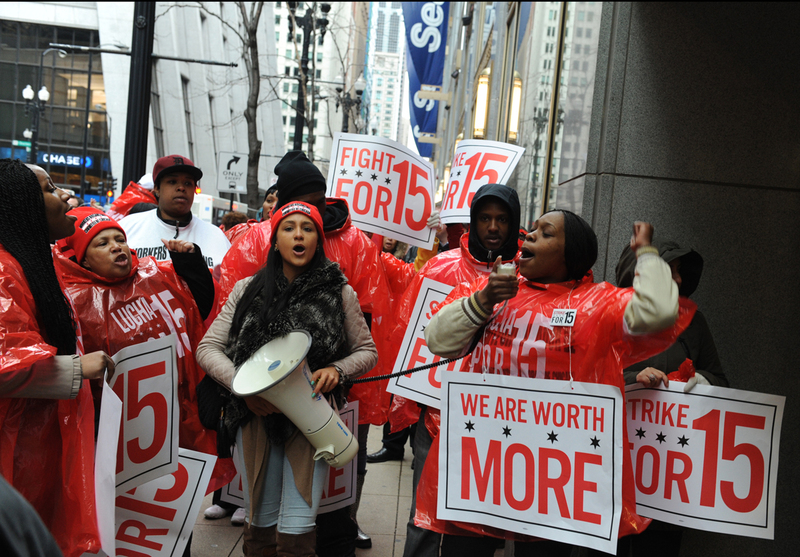 At a time when black women--who still make 64 cents for every dollar made by white men in the same jobs--are joining the fight for an increase to the minimum wage this need is more urgent than ever. “We all have experiences and stories of folks of color--particularly black folks--who have spoken up about experiences of racism only then to be ostracized from their local unions or from the labor movement in general,” says Jennifer Epps-Addison of Wisconsin Jobs Now. A survey found that only 27 percent of women believed their unions were putting enough resources into organizing black women workers. “As a black woman I feel like to do this type of work--primarily organizing black and Latino workers--I have a heightened level of accountability to the people that I'm organizing,” adds Epps-Addison. Labor leaders such as Epps-Addison serve as an important testament to the contributions of black women fighting against the ongoing struggles faced by those marginalized in our society--including the economically marginalized.